During my daily work as a professional motorcyclist I get to test the best kit and see if it performs in the real world. For the last few seasons I have really loved wearing RST kit, it fits, feels sturdy and the price cannot be beaten. Its also nice to see lots of RST gear finding its way on to the grid with riders like John Kirkham and Chris Walker choosing the brand, with that kind of pedigree its well worth checking the kit out. This year I am mainly using the one piece Tractech suit and boots with Slice gloves and so far I can’t fault the fit, feel, and value for money, not to mention the peace of mind the in built protection gives. I will keep you updated on how it all holds up to the rigours of day to day use. “Racing improves the breed” as they say and the RST Tractech 1pc shows that to be true beyond doubt. 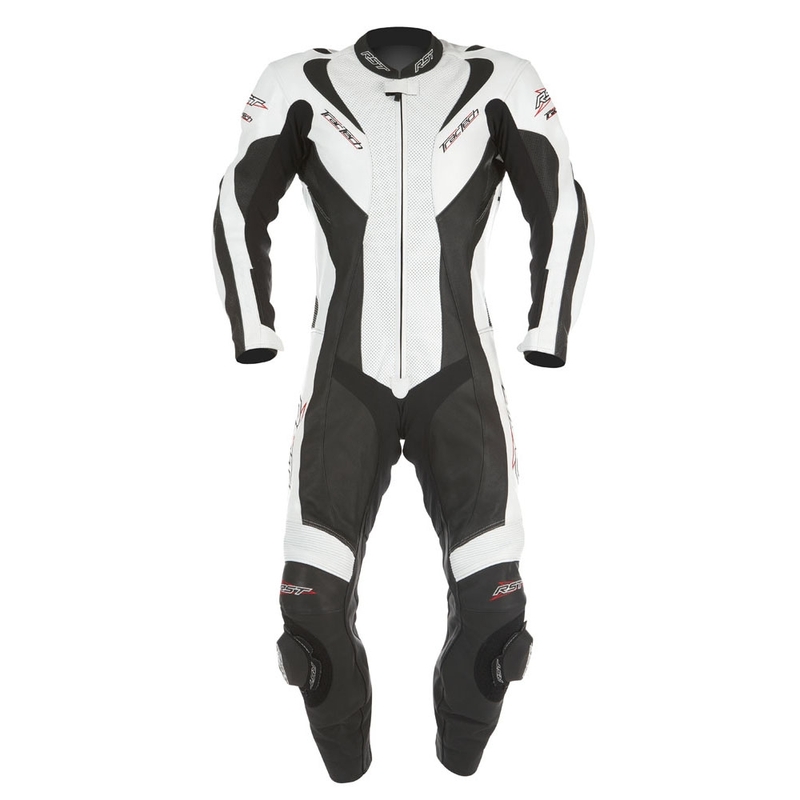 The Tractech 1pc race suit is a versatile suit which is suited to racing, track days and general fast road riding. The style, fit and quality are designed to allow the rider maximum movement whilst affording the greatest protection possible. The stylish Tractech is the suit of choice for many BSB and club racers as it stands up to some serious abuse and can take years of hard riding. Racers at national and club level choose the Tractech 1pc suit due to its race-proven protection and incredible value.